I just got my copy of the new Scott Hamilton book! Look at how happy I am! It is an in-depth master piece that covers all the functionality from the basics to the advanced. Organized and written in a way that everyone with basic knowledge of the subject matter and ERP can digest it. It covers all the different type of manufacturing scenarios (Discrete, Project, Process and Lean) and has a great deal of case studies that are informative and might even solve many of your known and unknown issues. It will deepen the understanding of the features for people that are already up and running on the system as well as work as a reference guide. And it is a great companion and a must-read to people doing an implementation or want to simply learn the solution. Go get your copy either physical or electronically now! As there are many time and attendance solutions that have specialized terminal equipment available, the Dynamics AX solutions might seem like a step back in user friendliness. A way to improve the experience for end users is to launch the terminal window directly when the terminal is turned on, so they don’t need to launch the window separately. For Dynamics 365 for Operations it is easy to just launch the URL with the right attributes in the browser to full screen. Use either mi=JmgRegistrationJobQueue for the job card terminal or mi=JmgRegistrationTouch for the job card device and add &limitednav=true on the end to restrict navigation access. Go to the terminal setup (Production control > Setup > Manufacturing Execution > Configure job card Terminal or Configure job card for Devices) and add the user to log in directly. On the terminal you can turn off the “prompt for production area” to further limit the interaction. When it comes to AX 2012 you can do this by using the .axc files in combination with an XML file to launch directly to the terminal window. I have even been able to do this in a Citrix environment. Just use the ax32.exe startupCmd command and prompt an XML. Read Janet Blakes bloggpost to do this. This episode I show you how you quickly can create and manage cues for Microsoft Dynamics AX 2012. Setting up the Print management for sending documents by e-mail is a very manual process in most implementations I’ve seen. It takes a user quite a lot of steps to set up a the system for sending documents on e-mail and getting it wrong has grave consequences (It actually stops your sending the invoice process, while still having the invoice posted!). I’ve dove down in to some data and found a smart way to dynamically set this up so that you only have to tag a e-mail address on the customer with a role and you’re done. This will also work with other documents like packing slip or customer statement and should eliminate the setup issue. Let me show you how to do it! Step 1: Set up a new contact purpose for the document. You could use the default ones, but in my experience you should differentiate pr. document type. Add a new type and tick both Contact information and Postal address check boxes. So selecting what customers should receive require you to specifically trigger the customer either by filtering by a parameter or setting it up by hardcoding the customer level print management setup. My idea is to dive down to see if the customer has a contact e-mail that is tagged with the “Invoice” role (Step 1) and trigger based on that. Click the original node and setup the default printer settings and then add a new node on the original node. Give the node a name (Like “E-mail”) and set up a condition for the query/filter. When the filter is true the invoice follows this setup. If not it will default back to “Original” setting. The query needs to be extended to get the required data available. You extend the query by right clicking the node and select a 1:n or n:1 relations. That should give you a query like this. 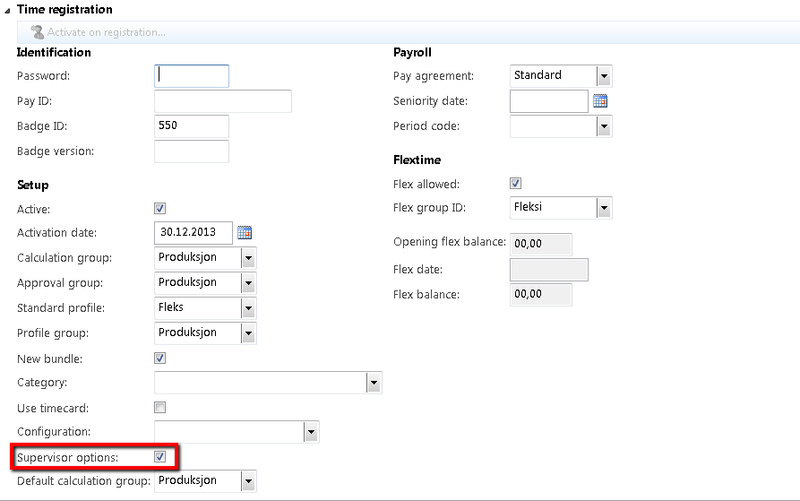 Then add the “Roles” table, “Type” field and select the desired Criteria (Like “Invoice”). Click OK to close the criteria dialogue. Now set up the printing settings by selecting the arrow at the end of the “Destination” and select “Printer setup”. Notice that you can add a preferred footer for the invoice. Select “E-mail” in the left column. Then on the “To” line select the “Edit” and in the Customer purpose field select the role you created in Step 1 (Like “Invoice”). Now add a subject and select the desired format (I prefer PDF). 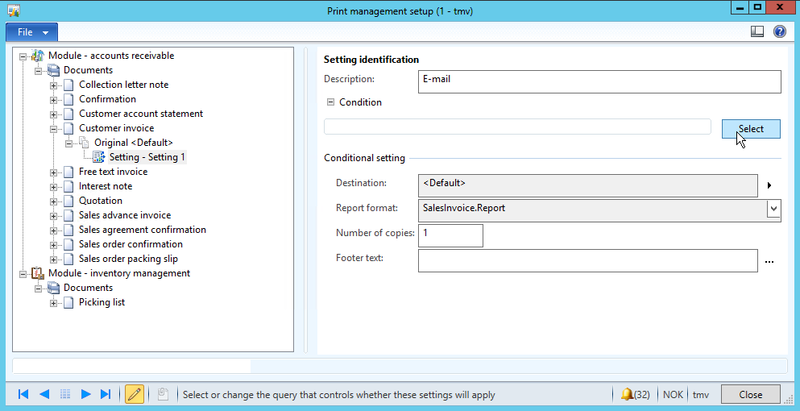 Click OK on the Print destination setting and close the Print management form. This is the final step and the only one you need to repeat when you now want to add a new customer to be emailed the invoices. 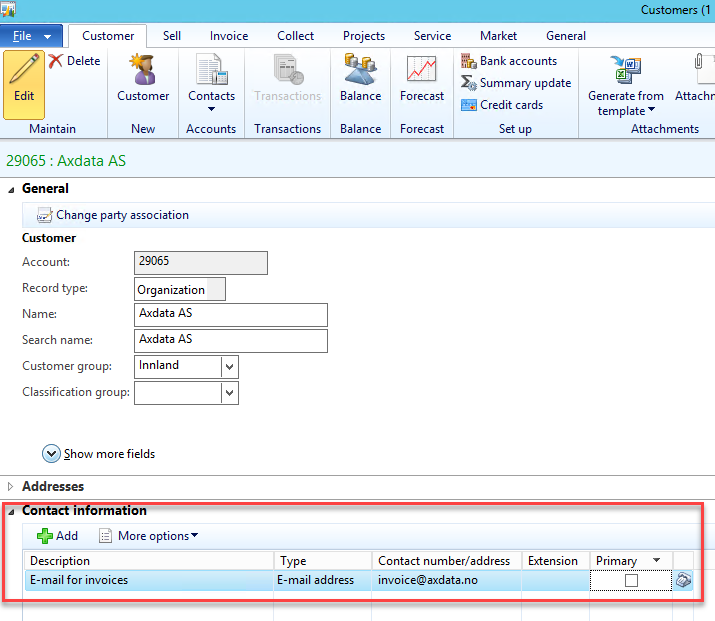 Create a new email address or use an existing one on a customer. Now select the “More options” menu and select “Advanced”. Select the “Invoice” role (or another if you created a different one in step 1) on the “Purpose” drop down. You can even have multiple roles selected if you want, so if you do a multiple setup with different documents you can add multiple roles/documents to one e-mail address. So now all you have to do is to remember to tick the “Use print management destination” check box when posting an invoice and all customers with this role on an email will get an email instead of going to print. This error message with label ID: @SYS134518 can be found in the WrkCtrScheduler.loadRoute method. It basically means that it could not run the planning due to an issue with the route map. I received this error due to a missing route group on a route. This was due to bad data that was imported and would not have happened if routes where created in the application directly. The tricky thing was that this might pop up when trying to plan an item with a large BOM structure. Somewhere in this structure lies a route that is not configured properly. But which one is it?! That would be nice to have in the error message right? So let’s fix it! 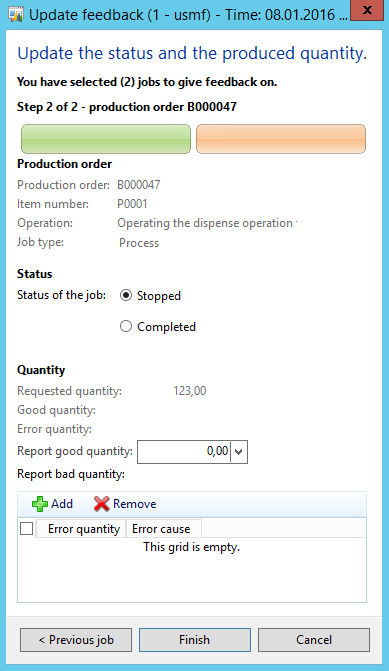 This will then read the item, route and previous operation to the issue and you can easily mitigate it. 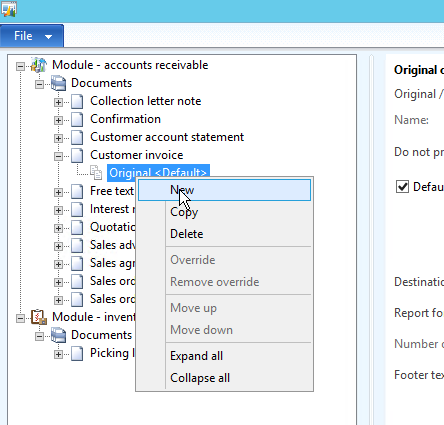 With the introduction of AX 2012 there was a lot of changes and most of us where caught of guard. There was good reasons for the changes, but the consequences of did take some experience to actually get right. Because of the global data and organization hierarchy features you couldn’t just copy a company. The feature to copy a company (legal entity) was deprecated. You would have to have a totally different environment to do that, so in the beginning we did training and process testing in the Test environment. Oh “Duplicate”…. How you are missed! The challenges this brought was that you might have features for testing in this environment and the results might affect your training or process testing. The result was that a new environment had to be introduced: A dedicated training environment that was identical to your Live environment. This isn’t my area of expertise, but it is clear that the concept of CIL execution, that was new to AX 2012, have changed the way we work with the AX code. Don’t be in denial, if you want to CIL compile. No errors allowed! The AX 2012 code has to be TOTALY free for errors if you want to make a full CIL compilation, and you have to be certain that your code is the CIL runs before you move code to your Live environment. You don’t want to move code to the Live environment and do a CIL compile without knowing if it works. As you might have multiple changes going on at the same time you would need a separate place to do the CIL compile. The result was that a new environment had to be introduced: A dedicated environment where code could be compiled and tested before moved to the Live environment. No development, no untested code, no compiling (Unless… you meet an error that requires it). Receives code through copying the model store from the Staging environment at planned intervals. If your business is very lokalized, like a manufacturing company with one site location, I would recommend an on-prem solution, but Azure is also a good alternative. Code is copied in parallell with Live. Receives data through DMF or by routinely copying the Live transaction database. Super users and end users use this environment if needed. Code is imported when approved from Test and is compiled, CIL compiled and retested. Data is routinely (at request/if needed) copied form the Live transaction database. You can have multiple updates to the staging environment before a copy to Live is done. New code imported from development and features are tested and tried out by the super users and admins. Transactional data is copied from Live when needed. You can either have a common development environment or multiple environments based of the same codebase. Data is rarely, but if absolutely needed copied from the Live transactional database. Would love some input on this if you’ve got some, so please comment with input if you’ve got any. Thanks! The idea behind the supervisor option is that the shop floor supervisor shouldn’t have to retreat to their office to do the most frequent tasks. This includes reprioritize work, control worker attendance, report absence and change feedback as well as report on manufacturing execution tasks themselves. When authenticating on the time and attendance registration form, the supervisor will be prompted with a supervisor dialogue where they can quickly jump to the desired task. 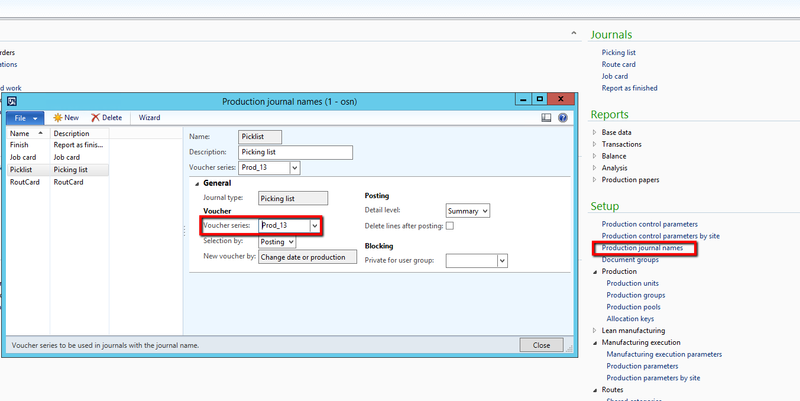 The supervisor can change between different resource, groups and production units to do Job registrations. 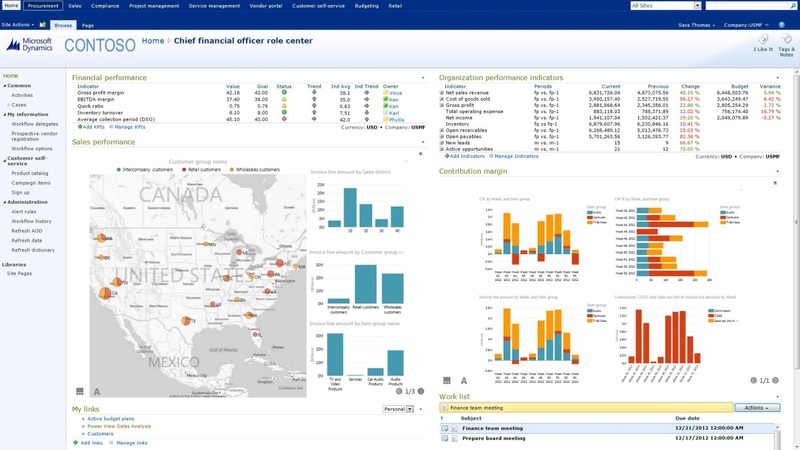 The “Change feedback” option gives an overview for feedback from the selected resources. You can select multiple records and click the “Update Feedback” button. This launches the feedback wizard form which I normally don’t use because you can not access the picking list. This is a simple way to perform feedback. After the supervisor has updated the feedback and clicks “Finish” the journals and jobb is updated. This is a great feature as it allows the supervisor to reactivate jobs that has been reported as completed, but should have been reported as stopped. Earlier this gave a lot of headache because you would have to go into the AOT to fix it or create a job that could do this for you. The supervisor can quickly access the Attendance form (which you also can do from the terminal directly) from the supervisor options to report absence or check the worker attendance. the supervisor will see the attendance overview. Here the supervisor can print the attendance form, clock out a selection of workers or register attendance directly. Clicking on register attendance for a worker the supervisor is presented with a absence registration form with a start/end date and time based on the planned work profile and can input an absence code. This is done without even leaving the shop floor. When the forman is going to calculate the absence registered will be used and he/she won’t be bothered with roaming the workforce to find out who knows why anyone wasn’t clocked in that day. “Editing job list” is used to reprioritize the sorting of the jobs on the terminal for the resource. 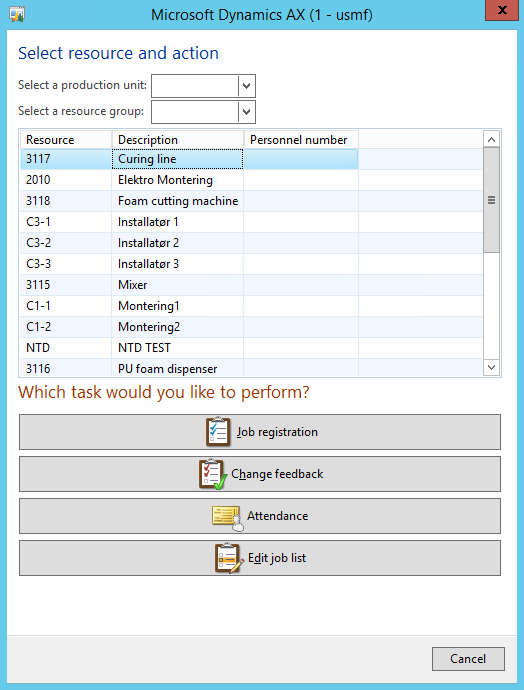 Selecting a job the supervisor can move it up, down or to a specific sequence number. It is also possible to move the work to another resource as long as it is within the route operations requirements. Making the job High priority will force the resource to work on this job next. It will be the only job that the resource can start working on and will be notified if he/she tries to start another job. There are also a lot of other information like capacity overviews, materials and general information about the production order and/or job. To activate this feature for the terminal user. 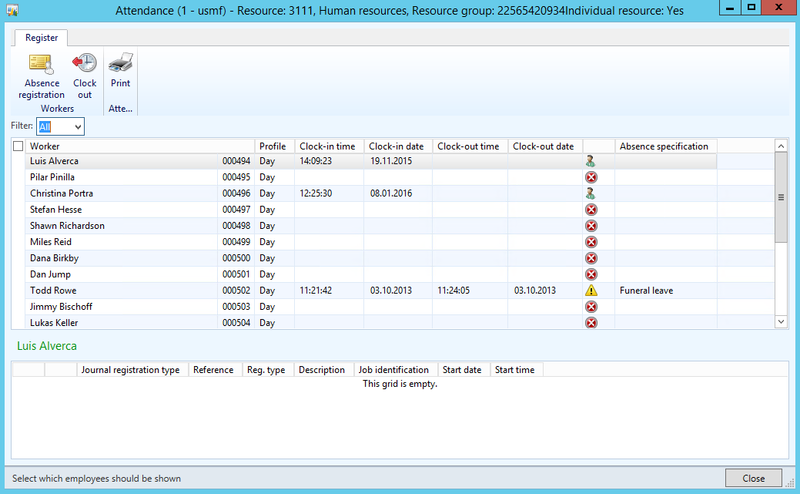 Go to Human Resources > Common > Workers > Workers | Employment > Time Registration > Supervisor Option and check the box.